Our Greanville Post stories about animals are not meant to be read as the sentimental stuff many people associate with “pet lovers and old ladies”, as if that were some disqualifier for intelligence. When we feature animal stories we wish to bring to the fore the urgent need for human intervention to better the lot of creatures that unfortunately remain at the mercy of our species. Period. Nothing sentimental about that. Just a matter of justice to fellow sentient beings. Just imagine what a horrible and lonely planet this would be if all the animals were gone. A shelter cat with the saddest face had given up hope, sitting quietly in the cage until a couple came to rescue him. What a difference adoption can make in just an hour! 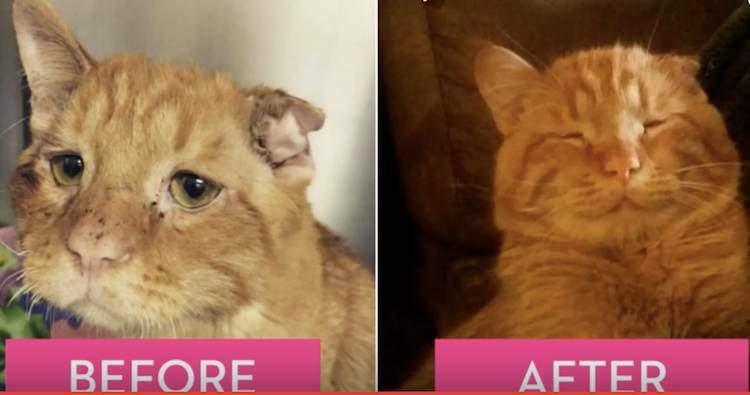 One hour is all it took to transform this sad cat into a happy ball of orange fur. Introducing Benben. 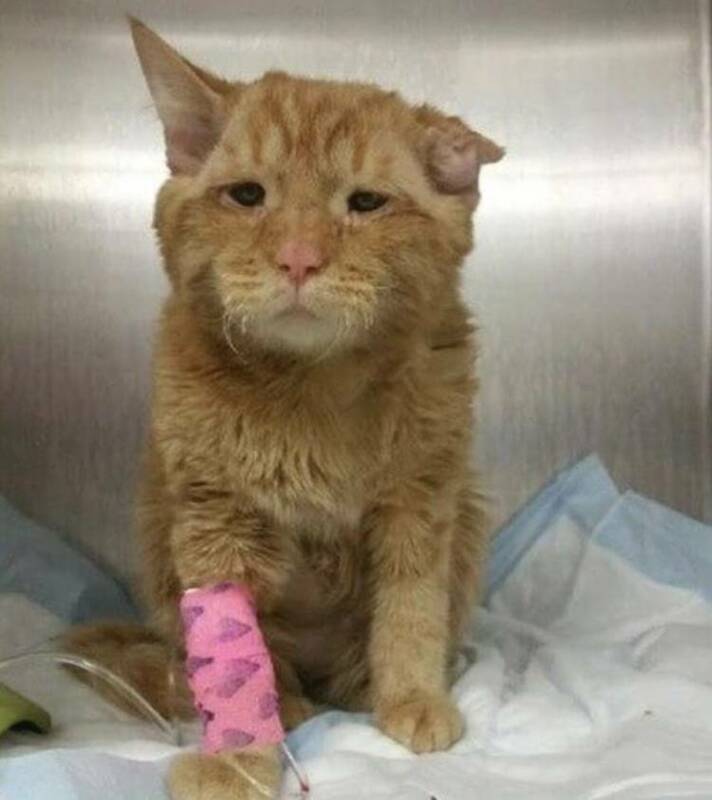 He had been called the saddest cat on the internet during the days he spent at the shelter. Shelter workers think Benben had been attacked by another animal, he had some deep cuts, a cauliflower ear, and his spine was crushed. OOf course, he isn’t really frowning, it is just some extra skin on his face that makes him look that way. Benben was scheduled to be put to sleep. Workers at the shelter said it was as if Benben knew his fate. He stopped eating and drinking. The day before Benben was scheduled to be put down a woman who works with an ER vet took him home! The veterinarians didn't think BenBen would walk again, but not only can he walk, he can run and even jump small distances now!